A ball is shown on a rotating merry-go-round with a frictionless surface. The ball starts at the center of the merry-go-round and moves outward at a constant speed. 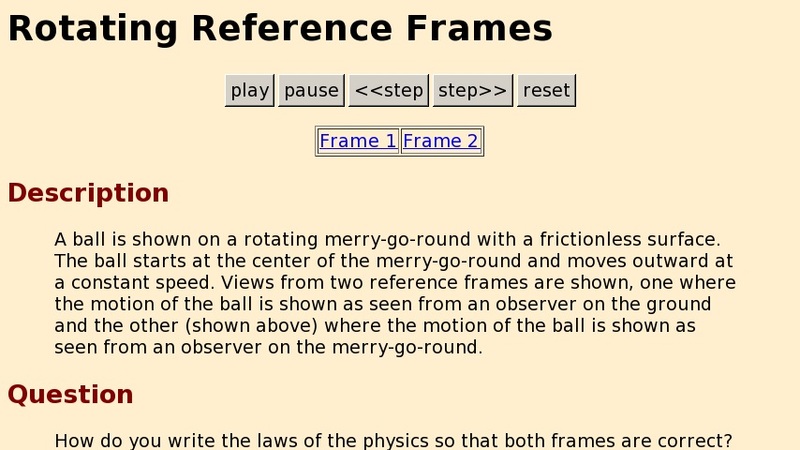 Views from two reference frames are shown, one where the motion of the ball is shown as seen from an observer on the ground and the other (shown above) where the motion of the ball is shown as seen from an observer on the merry-go-round.